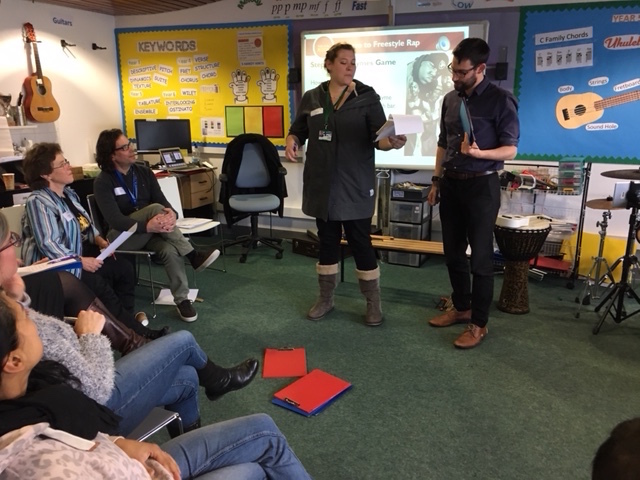 We’re always delighted to be asked to deliver Musical Futures workshops for any organisation and have enjoyed working with many International Schools across Europe, but we were super excited to receive an invitation from the International Leadership Academy (ILA) based at the British School in The Netherlands, Den Hague, a dynamic and innovative centre of professional learning and development that provides impactful programmes specifically designed for international school staff. Over the course of two days, staff from the across four of the five school sites (3 junior schools and 1 senior school), instrumental tutors and teachers from other education institutions from across The Netherlands immersed themselves in a comprehensive programme of workshops which introduced the Musical Futures pedagogy and content. 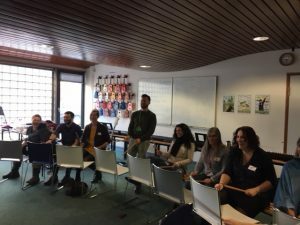 On arriving in The Hague, I was fortunate to be able to spend a full day visiting each of the teachers in their classrooms and being introduced to the children they were working with. Like many music classrooms across the world, it was a carefully crafted balance of excitement, engagement, music learning and frenetic practical activity, all squeezed in to a short amount of time. 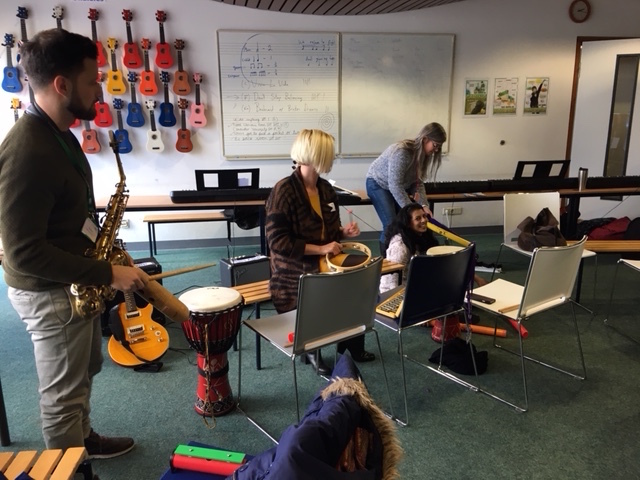 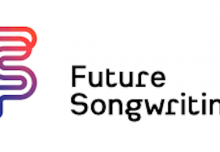 What this meant for the two day workshop sessions was some careful thought about how to bring Musical Futures pedagogy, content and ideas to a very diverse group of music educators, all who worked with children of differing ages – from ages six to sixteen – and in differing contexts. 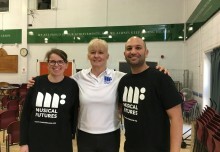 The principles that underly Musical Futures – that of music starting from a practical, ‘hands-on’ starting point, where student motivation and enthusiasm for the subject is key, moving to developing musical understanding, skills, and knowledge using whatever content you might wish to focus on – would certainly be put to the test over the course of the two days. Everyone would experience the approaches from the perspective of their learners and then plan how to take them back into school and adapt them to their own contexts. The proof of the pudding, as they say, was in the eating! 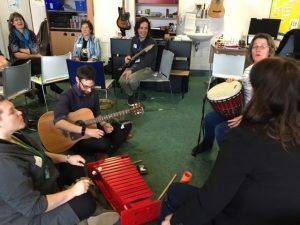 Having worked through Everyone Can Play (beginner ukulele), Just Play (instrumental skills building), Songwriting, Find Your Voice (including beatboxing and integrating technology – very popular with all concerned! ), Composing and Improvising and Informal Learning whilst examining, discussing and experiencing the pedagogy and content behind each model, everyone agreed that Musical Futures approaches were highly relevant and engaging for students of all ages but with some content more applicable for some students than others. 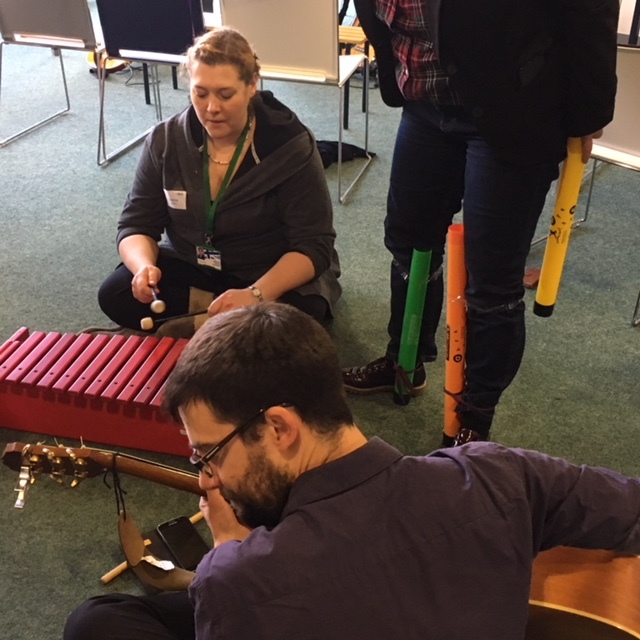 Teachers of lower Key Stage 2 were delighted to discover new vocal warm-ups and singing games, ideas for use of technology for composition and a new instrumental ideas to supplement their school’s current offer, whilst teachers of older students were keen to try out some of the playalongs and ideas for independent learning offered by Informal Learning.